A new type of ichthyosaur, an extinct marine reptile which was alive at the same time as the dinosaurs, has been identified from a fossil found on Dorset’s Jurassic coast. The fossil had been in the collections of Doncaster Museum and Art Gallery for more than 30 years until Dean Lomax (25) palaeontologist and Honorary Scientist at The University of Manchester, uncovered its hidden secrets. Dean first examined the fossil in 2008 when he noticed several abnormalities in the bone structure which made him think he had something previously unidentified. Working with Professor Judy Massare of Brockport College, New York, he spent over five years travelling the world to check his findings and a paper explaining the discovery is published today in the Journal of Vertebrate Paleontology. Similar-shaped to dolphins and sharks, ichthyosaurs, which are often misidentified as ‘swimming dinosaurs’, swam the seas of the earth for millions of years during the Triassic, Jurassic and Cretaceous periods, before being wiped out. The Doncaster fossil is between 189 and 182 million years old, from a time in the early Jurassic period called the Pliensbachian. It is the world’s most complete ichthyosaur of this age. “The recognition of this new species is very important for our understanding of ichthyosaur species diversity during the early Jurassic, especially from this time interval, ” Dean added. The research also looked at the size and age of the new species, and enabled a look at sexual differences (males and females). This included comparison with other groups of reptiles (living and extinct), whose limb bones are different between males and females, something that had never before been applied to ichthyosaurs. The limb bones of the Doncaster specimen were professionally prepared and removed, funded by the Esmée Fairbairn Foundation, as part of a grant awarded to Doncaster Museum Service. The new species has been named Ichthyosaurus anningae in honour of the British collector, and woman in science, Mary Anning, who first collected ichthyosaurs in the early 1800’s. 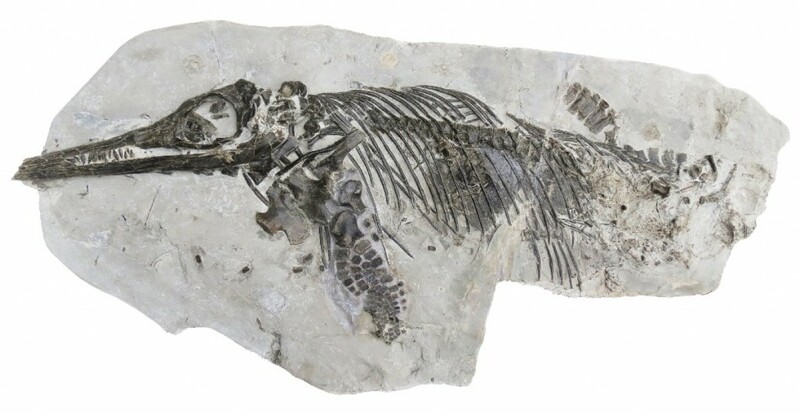 It is the first new Ichthyosaurus identified for almost 130 years.